Just a few days ago Fishlabs, publishers of many popular iOS titles, added two brand new high-profile cars to the ever-growing roster for their racing simulation game Sports Car Challenge 2. In the course of a free, iOS-exclusive content update that went live on the App Store, the Lamborghini Huracán LP 610-4 as well as the Volkswagen Scirocco R are now able to be unlocked and driven within the game. First off, the Lamborghini Huracán LP 610-4 combines the best of raw power and untamed energy with prestige. Featuring 610 horsepower in a V10 engine, you can go from 0 to 62 MPH in a mere 3.2 seconds and max out at a fast speed of 202 MPH. Lastly, the Lamborghini Huracán LP is available in five different colors and comes with two different sets of rims. ‘Real Racing 3’ Named Global Editors’ Choice on the App Store! Firemonkeys Debuts Porsche Trailer for ‘Real Racing 3’! The Real Racing series was developed by Firemint in 2009 and the recently announced Firemonkeys team is excited to unveil a few features from the newest iteration of the series. Featuring all-new licensed tracks and a robust lineup of licensed cars from all-new manufacturers, Real Racing 3 is set to deliver a rich, next-gen racing experience with the most beautiful and authentic circuit racing available on mobile devices. Stay tuned for more information on Real Racing 3 coming in 2012! 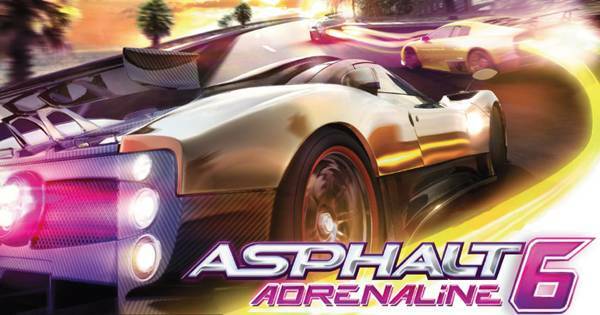 Asphalt 6 : Adrenaline Got A Brand New Update With A New Car Added! Entries (RSS) | Comments (RSS) | 81 queries in 0.686 seconds.